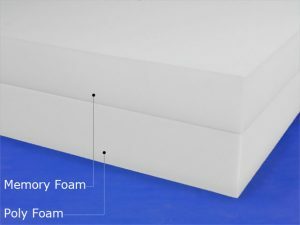 When to Replace Your Memory Foam Mattress – Foam Factory, Inc.
One of the best reasons to buy a memory foam mattress, aside from the unparalleled comfort and support the material is known for, is the longevity of the product. With proper care and maintenance, a quality memory foam mattress can easily last for 8-10 years or more. However, this 10-year lifespan is not a hard and fast rule, but rather a general guideline. There are other, more reliable indicators that will tell you when to replace your memory foam mattress, including the following. There is noticeable damage. While memory foam mattresses are tough, they are not completely impervious to defects or damage. Holes, rips, tears, or other visible imperfections can compromise performance and have a negative impact on support and comfort. Your mattress is causing skin problems. Like all mattresses, a memory foam mattress absorbs body oils and sweat as you sleep. Over the years, the buildup can begin to cause skin irritations in the form of itching, rashes, or breakouts, at which point you might want to consider buying a new mattress. (Tip: use a mattress cover on your memory foam mattress to help keep it clean and dry. You have trouble sleeping. Memory foam mattresses have many features and characteristics that facilitate restful sleep, such as targeted support and temperature regulation. If you suddenly have trouble sleeping through the night and have ruled out other lifestyle-related causes, it could be that your mattress has aged past its peak performance years. You wake up with aches and pains. The reason you chose a memory foam mattress in the first place is because of the superior support it provides where you need it most. If you begin waking up with muscle aches and joint pain, then the memory foam is no longer doing its job and should be replaced. Under normal circumstances a memory foam mattress is one of the most durable and long-lasting products you will ever buy. But not all mattresses make it to the 10-year service mark, so if your mattress starts to show any of the above signs of premature wear, then replace it ASAP.